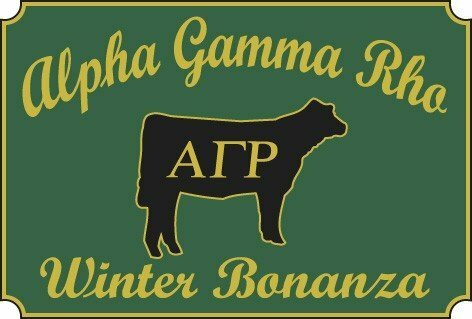 In December, the Alpha Gamma Rho Fraternity will host the annual Alpha Gamma Rho Winter Bonanza. The OSU chapter of the AGR Fraternity annually hosts the Bonanza and has experienced a steady increase in attendance throughout the event. The OCCA sanctioned show, held since 2001, brings approximately 400-500 cattle from all parts of the country. Held at the Payne County Expo Center, the show annually awards $15-20,000 worth of prize money to youth exhibiting in various classes. Many members of the fraternity were involved with livestock shows and feel the Bonanza provides them an opportunity to help youth experience some of the memories they had as members of their hometown 4-H and FFA chapters. In addition, it gives the members an opportunity to interact with potential college students and encourage them to attend Oklahoma State University. The public is invited to come take part in the Bonanza. All proceeds from the Bonanza benefit a non profit organization. For the dates of this years Bonanza, check out our Events calendar. For the most up to date information, become a Fan of the AGR Winter Bonanza on Facebook. Get information on the Winter Bonanza Scholarship.